When I was pregnant with E, I knew pretty early on that I wanted to try cloth diapering. My friends threw a cloth diaper shower for me and I received the bulk of my stash! I am really blessed by some great friends! I also started reading everything I could find about cloth diapering. I use modern cloth diapers, which include pockets and All-in-ones. It may seem like a huge expense upfront, but I promise, cloth diapering will save you money in the long run! It really helped us to have a cloth diaper shower that our friends and family gave for us. We were able to save so much money this way. Also, if you are using cloth for more than one child, you are definitely saving a ton of money that would be wasted with buying disposables. And baby’s bottom has never looked cuter than it does in cloth! This post includes the types of cloth diapers. Other topics in this series include: solving issues with wash routines and using cloth while out and about. If you have cloth question, be sure to leave a comment below! Emmett in his swim cloth diaper at the pool! Pocket diapers and All-In-Ones are what I use most of the time. I do have some fitteds with covers as well. There is a lot of cloth diaper jargon, so maybe this will help. Pocket diapers have pockets that you stuff with an absorbent insert like microfiber, hemp, or cotton. They are lined with a fleece or suede cloth that stays dry, while the baby’s waste is absorbed into the insert. You have to remove the insert each time you wash. All-in-Ones are similar to pockets, but the inserts are sewn into the diaper. These are often a little more expensive, but many people like these for daycare/babysitters/grandparents because they are just as EASY as disposables. Our pockets and all-in-ones are all from bumGenius. The outside of a pocket diaper and an all in one is usually made from a waterproof fabric called PUL. bumGenius has 2 different all in ones: Elemental all in ones are made from organic cotton. Freetime all in ones are microfiber and cotton. I use the Freetimes! Fitteds are made of cotton or hemp and they are NOT waterproof. They require a waterproof cover (Thirsties has a great one) to go over them. We use Kissaluvs and OsoCozy and these are great for overnights because the hemp absorbs a LOT of liquid. Other diapering options: You could also use a prefold (old school diapers! but just as reliable) or flour sack towel (folded and incredibly economical) with a waterproof cover, and that is a great option! I know there are other types of cloth diapers, but these are the ones we have used and loved. The swim cloth diaper I use is from Applecheeks. They are made of a mesh material that lets water move freely, but keeps any messes fully contained! I love not having to buy swim diapers! I just wash this with the other diapers. Erin over at The Humbled Homemaker has written a lot about cloth diapering. I heard her speak last August and knew I needed to know more! She did a whole series that you can find here. She also wrote a book about it, and those nights when I was not able to sleep during the 6th and 7th months of pregnancy I was up reading about cloth diapering! But, I think you all know by now that I research and read everything before I dive into something new! Nerd alert! Do you use cloth diapers? Are you interested in starting to use them? Let me know if you have any questions! Stay tuned for the next posts in this series! Everything about being a foster parent terrifies me and excites me, and both of those emotions assure me that this is what God has for us right now. If you have followed me on Facebook at all, you know that The Engineer and I have been through the Foster Parent training classes for the state of Georgia. We completed them in March 2014. It has been a long process, but hoping to be approved at some point this summer to be official foster parents. We always talked about fostering. We want our home to be open to anyone, everyone, all the people, anytime. But, I think we thought we would foster later in life, you know, after we had a few children biologically. Since that has taken longer than planned (Ha! Our plans! God is so much bigger than our plans! ), we thought we would adopt. And you all know that story, and if you don’t, well it’s here and here. 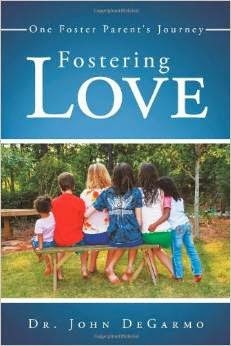 And then we started reading more about fostering, like this book by Dr. John DeGarmo. We said YES to fostering in January of this year. We obviously have no idea what we are doing! So, we are continuing to read, pray, figure out what we are supposed to do, and wait. We wait because the system is slow, overworked, underpaid, and exhausted. We wait because that is what our life is like right now….a lot of waiting. But it is often in the waiting that we come to know God more, what He is truly like, and how He is working on our behalf even if it does not feel like it. We are trusting that He will build our family the way He wants it to be. We are hoping that we receive children and will be able to adopt them, eventually. We understand the system a little more than we did 4 months ago and made some new friends. And we know that in the end, if children come into our home even for a day that they were meant to be here and meant to be in our lives. We know God is opening our hearts to receive many children who have never known love or safety and that we will get to provide that for them. We are beyond hopeful that they would come to know Jesus by being in our home. But overall, we just want them to know they are cared for, loved and safe. Even if they go back home or to another relative or foster family, we will love them no matter what the circumstance or outcome. That is what we are called to do. That is what we will do. Because of His love for us, we are able to love. And we will give away His love as much as we can. No matter what. So, this Mother’s Day, even though I do not have children, I know God is making a way. Even when it hurts beyond hurt that I am not a mother just yet, I am trusting in His promises and His plan. I will be a mom one of these days. I am thankful for the 16 children I have been able to teach this year and the place in my heart that they are in. I have been where God needed/wanted me to be this year and I am so thankful. He placed me in a good school with children and families that are amazing, supportive and loving. He has a plan for ALL THE THINGS and I am thankful.